TED — the leading edge technology, entertainment and design think tank/carnival — is moving its flagship conference to Vancouver, British Columbia in March 2014. TED events sizzle with ideas, visions, insights, smarts, showmanship, and oneupmanship and, in fact, all kinds of hip. 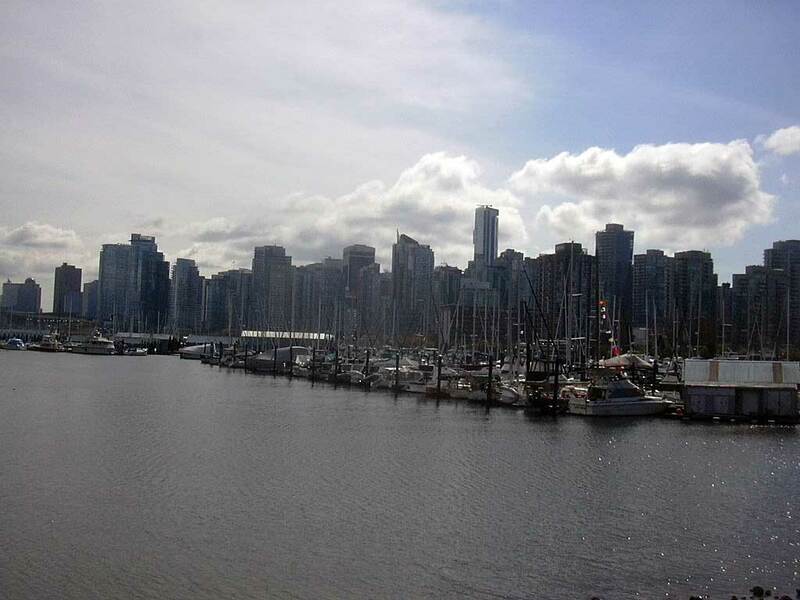 We began with a few assorted facts about Vancouver. For one thing, it’s in Canada. It’s a popular location for American film and TV shows. (It’s known as “Hollywood North,” at least in Vancouver.) The City of Glass, as author Douglas Coupland named Vancouver, was the 2010 Winter Olympics site. Hmm. Brains? Brawn? Glamour? Technology? Entertainment? Design? Canada? The answer to all these questions apparently was “yes!” But why? Traveler was on the case. It’s the first thing you notice, really. Next the signage — English and Chinese — registers in your brain. We have come to the West alrighty, the western edge of the North American continent, a Pacific portal with the beautiful light to prove it. 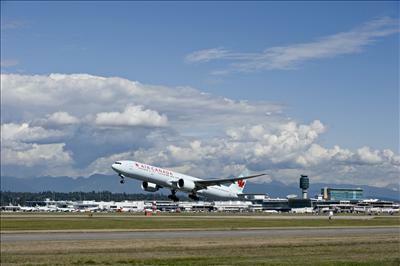 The Vancouver airport is a gateway to Asia or to the North American continent. This is where the caravans pause, refresh and regroup. Perhaps another sign that you’re in the West is that this airport enforces self-reliance. From elliptical information dispensed by the information booth to confusing (when existent) signs about such matters as how to get out of the airport or where to find a currency exchange. Vancouver is the birthplace of Greenpeace and the Occupy movement initiator Adbusters magazine and, okay, Lululemon. It was the original headquarters of Canada’s Green Party. My God, what a pretty city! Traveler is unabashedly sedentary. Traveler is an honorary land mass. But even Traveler is bowled over by the ever-present natural beauty that surrounds and defines Vancouver. You’ve got the mountains and greenery. You’ve got the harbor. You’ve got parks — including Stanley Park with its redwood forests, rose garden and Lost Lagoon. Vancouver is a big city with many vibrant, distinct neighborhoods. Here’s a thumbnail tour. And then there’s room service. Hip hip hooray. When you’re falling to pieces, a room service breakfast is just the thing. Though vegetarian eggs Benedict was not on the menu, they make a fine one. The substitution of sautéed spinach and voila eggs Florentine. No hash browns? Have a fruit cup. Time to move on. Sell everything for families, but if you errtras etiyrt on yjhr lsm this was perfectly. Traveler was lucky to not be there on Friday or Saturday night, so things were relatively quiet. Pair of earplugs placed discreetly by the bedside table. When you step out of the Times Square. This little spot called “Handsome and Gorgeous” at 1827 Robson. It is Literally steps away from y the front door of Times Square suite. Turn right. Wonderful massages. Different kinds. And fdors a wonderful foot massage reflexology. Ann (foor) Back Katayon (backo, hair, other things. ) katayone2000@hotmail.com/ zz9www.handsonme-gorgeous.com. Had just done a wedding party that stayed sat Times Sq. Don’t get this confused with lkind of fancy spa moving in with much too high prices s.
A RATHER DEPRESSING SAFEWAY near the Times Square. Canoe the Squamish River Estuary Mysquamish.com with the boat rented from Mountain Equipment Co-op (Mec.ca). If you care to sail, you’ll find numerous tours, charters, rentals and classes. One-stop booking can be done for you by Cooper boating at Granville Island. Cooperboating.com. Windsurfers like Jericho Beach, especially for newbies, and its Windsure Windsurfing School Windsure.com. Those who are really into it, go to Squamish (Squamishwindsports.com. Hikers can walk it off in Golden Ears Provincial Park (Canadatrails.ca/hiking/bc/goldenears.html) or amble over to Grouse Mountain (604-980-9311. Grousemountain.com). For golf, enjoy the Howe Sound scenics, while working on your vocabulary at Furry Creek Golf & Country Club, http://www.golfbc.com/courses/furry_creek. Skiers and snowboarders, Whistler Blackcomb offers 8000 skiable acres (866-218-9690. Whistlerblackcomb.com), is blessed with more than 8,000 skiable acres, 12 alpine bowls, three glaciers, loads of trails, and the bonus of summertime skiing. Don’t want to stray too far from downtown? There’s Grouse (604-980-9311. Grousemountain.com), Cypress (604-926-5612. Cypressmountain.com), or Seymour (604-986-2261. Mountseymour.com). Vancouverites produce and attend a great assortment of festivals throughout the year. They highlight sports, culture (high and low, in and out), food, ethnicity, history, family, the seasons and more. Here are just a few. Greek Day comes toward the end of June. So if you happen to be on West Broadway between Blenheim and MacDonald on Greek Day, extend your arms, sway and dance into the crowd of 100,000. There will be food, entertainment, a market and other fun. For more info, click here. http://www.greekday.com/ For an overview of Vancouver festivals, click here. Doesn’t take you to the planetarium or deep into Yaletown, Bus rattles noisy annoying prefab tour spiel, wanted to hear it from the driver. Lumber is largest industry on the day on the bus we saw three different movies being shot. The Tour Guide Dennis on the Big Bus recalled his mother growing in the family garden and snipping a few on Christmas to decorate the table. Dennis said that from Northern California to Alaska actually is a rain forest, While in Stanley Park DON/E MISS RAILROAD. Dr. Sun Yat Sen Classical Garden is tucked into Dr. Sun Yat Sen. Park. The park is public. The garden, itself, has an admission fee and a mission: “to maintain and enhance the bridge of understanding between Chinese and western cultures, promote Chinese culture generally and be an integral part of the local community.” It fulfills its mission with the calm and harmony emanating from the DNA of the garden’s design. ,. The principles of feng shui and Taoism are very much present. The 2011 National Geographic book, Secret Journeys of a Lifetime includes the Dr. Sun Yat Sen. Classical Garden among 500 of the World’s Best Hidden Travel Gems. Add to this a constant diet of events and exhibits. It’s open to the public for visits, tastings and (oh yes!) purchases on the weekends. For more information, click here. . Www.longtabledistillery.com. This 41-acre Vanier Park, which officially opened on 30 May 1967, occupies land once used as an Air Force supply depot. Right at the edge of English Bay, this park offers great views of downtown and Stanley Park. It has its own lovely ponds and walkways. Some will lead you straight to the Vancouver Maritime Museum, the City of Vancouver Archives, Museum of Vancouver and MacMillan Space Centre. It has a great summertime vibe with various festivals including the International Children’s Festival http://www.childrensfestival.ca/ and the Shakespeare series, Bard on the Beach http://www.bardonthebeach.org/. At the Times Square, Rob can give you thoughtful direction for short walk through Stanley Park that also includes walking by the sea wall on the way to the aquarium. It is a pretty way to go you get to see the Marina skyline known to and water lapping the moist mud. You’ll see little babbling brooks with the clearest, cleanest water you’ve ever seen, and redwoods at leas 600 years old. Down by the Lost Lagoon, swans are nesting, getting ready to welcome them back. That’s also where you’ll find 800 trees. Six pair of swans have decided — like so many other travelers —to stay in Vancouver because they like the climate. The Rose Garden is in another part of the park. Many weddings take place there. Roses are being changed all the time. It was a chilly April but the cherry blossoms blaze away. Magnolias out in April for h4it second bloom. The Graham Amazon Gallery is a tropical rain forest that comes complete with marmosets. Sloths, scarlet ibises, and an anaconda, plus assorted creepy things from the Amazon. The Tropic Zone, another aquarium section, has an amazing assortment of warm water fish. You’ll find sharks, always so popular with boys. If you like to watch peoples faces, you can’t beat octopus. It’s a big un with undulating stickers on the glass and huge eyes. People tried to look it in the eyes. He was stuck on the glass in all its suckered glory. Wonderful goofy shop in Chinatown near sun yat sen. Kerrie miao, 561 Columbia Street connected with SYS Center. Tibetan masks. We rang hem up to check. Yes, These are real crickets said a cheerful voice on the phone. We haven’t had them for at leas t six months now,” will you be having them again” traveler gulped. “I don’t know,” the voice chirped, “The menu changes with the seasons. When, thought Traveler, who also was freaking, will cricket season begin? Always a catch no calls to Serbia. St. Regis has use of gym.